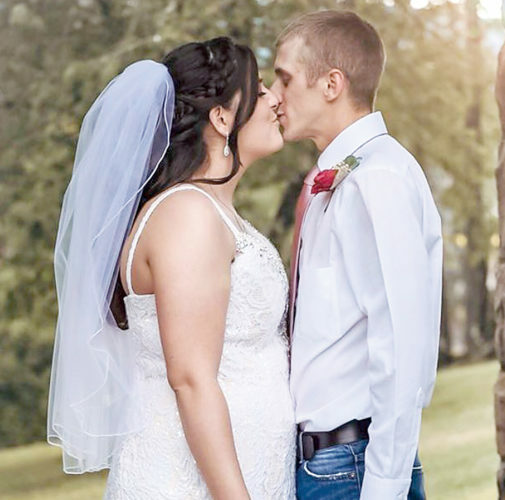 Stacie Lynn Channell and Andrew Robert Ellenbecker were united in marriage in an outdoor setting Oct. 20, 2012, in the Camp Pioneer vestibule at Beverly. The ceremony was officiated by Randall Montgomery, a great-uncle of the bride. The bride is the daughter of Roger Wand Teresa L Channell of Elkins. She is the granddaughter of Lester S. and C. Jean Neal of Oil City, Pa., and Eugene W. Channell of Elkins and the late Dorothy L Channell. 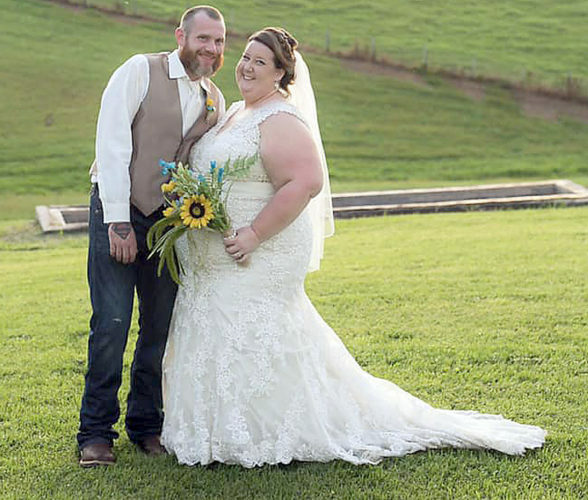 The bride is a 2008 graduate of Elkins High School and a 2012 graduate of West Virginia University with a bachelor’s degree in medical laboratory sciences. She is currently employed as a medical technologist at City Hospital in Martinsburg. 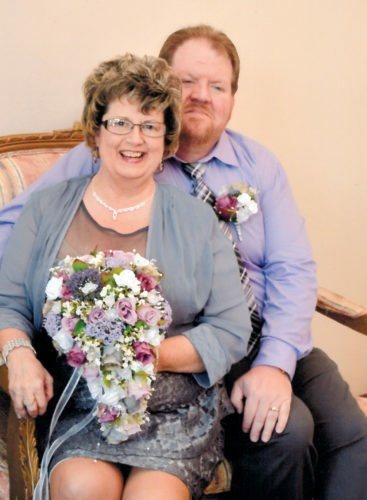 The bridegroom is the son of James and the late Judith Ellenbecker of Hedgesville. He is the grandson of Robert and Mary Ellenbecker of Oneida, Wis., and Robert and Mary Ihlenfeld of West Bend, Wis. 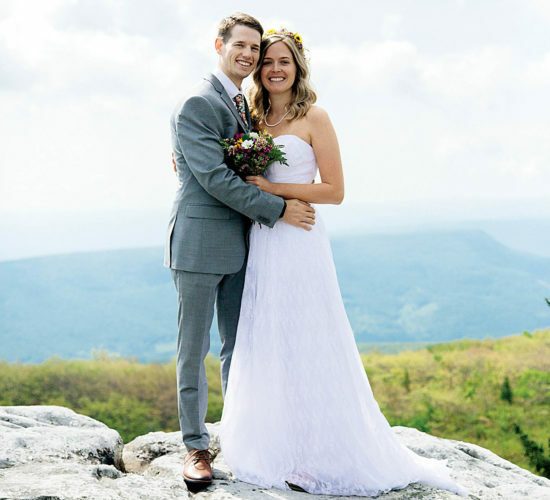 The bridegroom is a 2007 graduate of Hedgesville High School and a 2011 graduate of WVU with a bachelor’s degree in economics. He is currently employed as a finishing technician at Quad Graphics in Martinsburg. Samantha Tallman, a friend of the bride, was the maid of honor. Bridesmaids were Brittany Bean and Jennifer Daniels, friends of the bride. The junior bridesmaid was SaVanha Scott, a cousin of the bride. Payten Scott, a cousin of the bride, served as the flower girl. Matthew Ellenbecker, a brother of the bridegroom, served as the best man. Groomsmen were Terry Stahl and John “Jack” Daniels III, friends of the couple. Aaron Ihlenfeld, a cousin of the bridegroom. served as the ring bearer. Music for the service and reception was provided by Mike White. The guest register was attended by Shalyn and Sarah Baylor, friends of the couple. 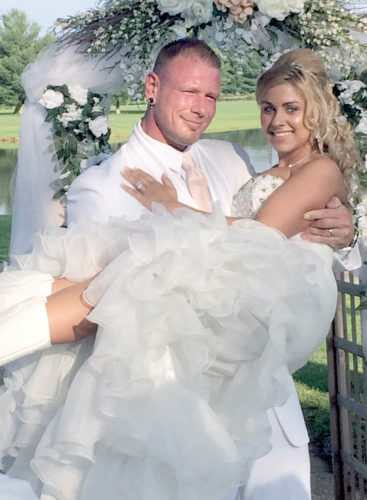 Following the ceremony, family and friends celebrated with the couple at the Elks Lodge with dinner and dancing. After a honeymoon at Secrets Royal Beach Resort in Punta Cana, Dominican Republic, the couple will reside in Martinsburg.